Signamax category 5e channel-level cords provide an excellent level of channel performance and are designed for less demanding applications. 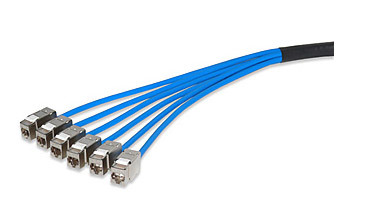 These cords are 100% tested in a 4-connector channel configuration to ensure consistent performance. Category 5e patch cords incorporate slim-profile snag-free boots, which protect the plug latch, and a flexible, but durable cable strain relief and are compatible with both T568A and T568B wiring schemes. Patch cords are manufactured using ETL-verified 26-AWG stranded cable designed for greater flexibility and service life and are available in eight popular colors and in nine standard lengths.